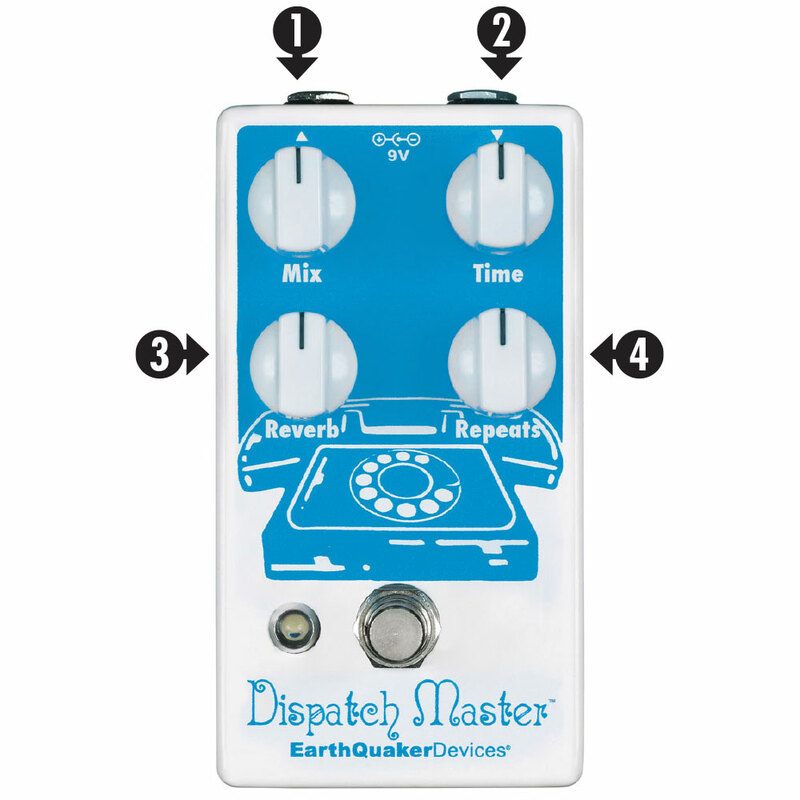 The Mix (1) control is a wet/dry blend that adjusts the overall level of the affected signal. Time (2) sets the delay time from 0ms to 1500ms (1.5 seconds). Reverb (3) controls the amount of reverb. 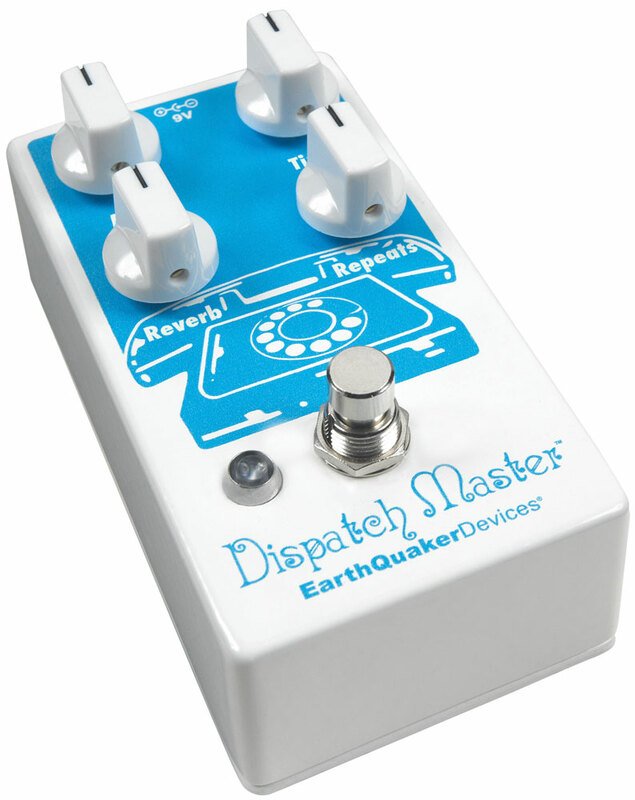 Counterclockwise is less reverb, clockwise is more reverb. Repeats (4) controls the regeneration of the delay signal. 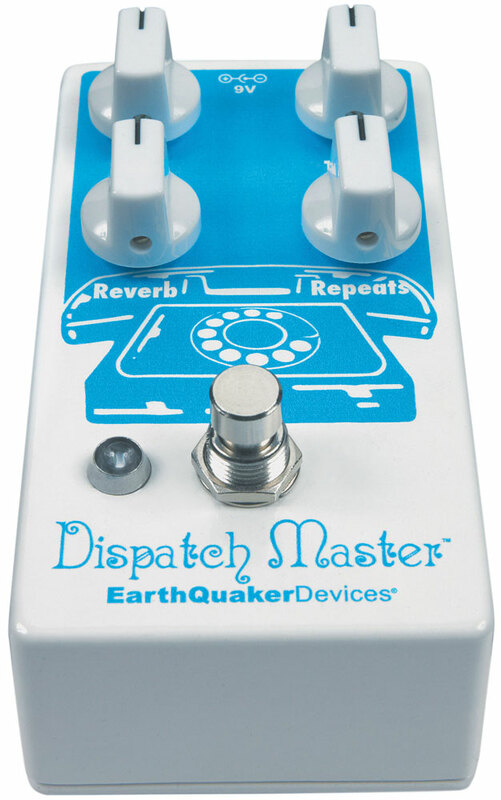 When the Repeats control is set to maximum, you’ll get infinite repeats without runaway self-oscillation, which makes it great for creating drones, dialing in the ultimate post-rock guitar sound without feedback, or just having fun. THIS IS IMPORTANT! 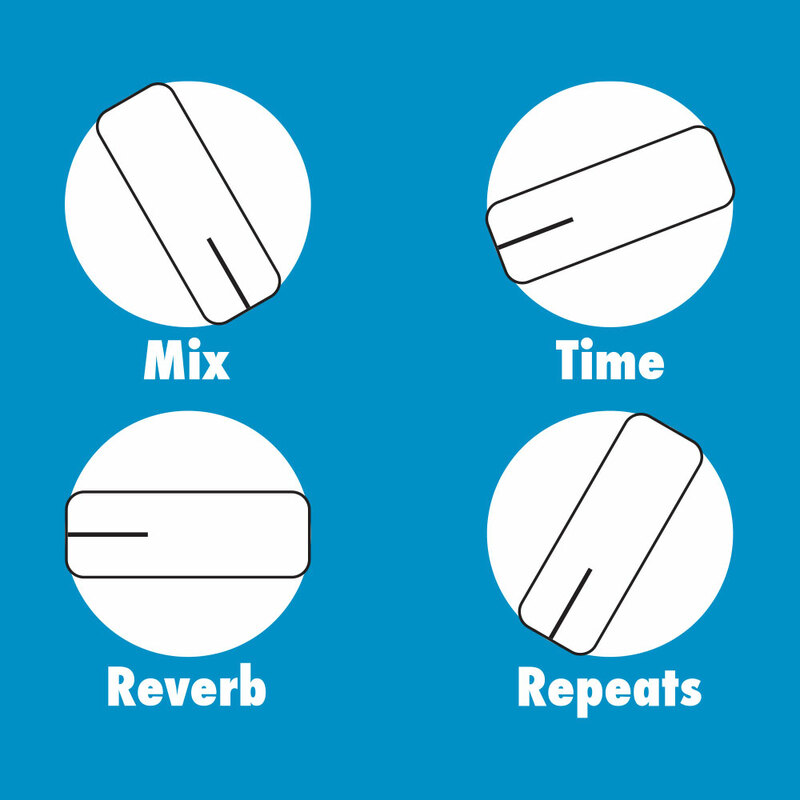 In Reverb-only mode, the Repeats control has a secondary function. 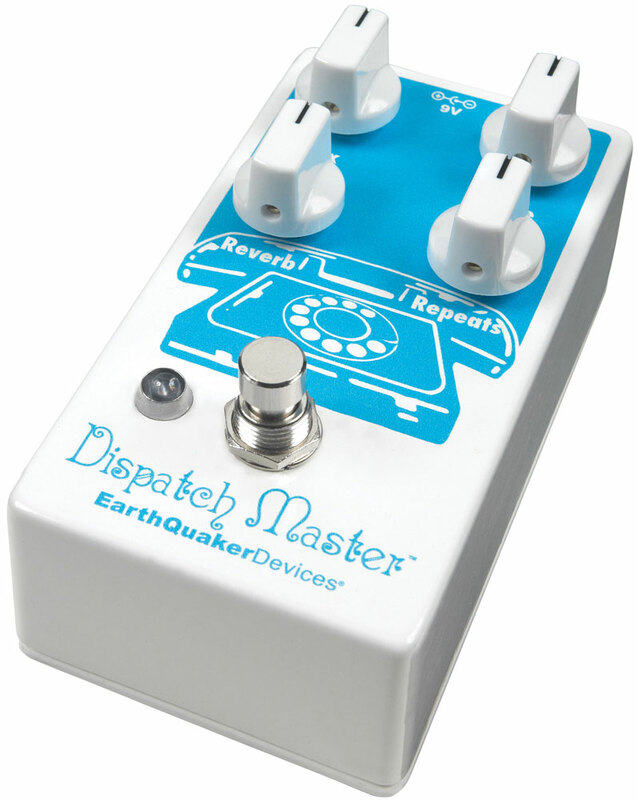 It can be used to adjust the decay, depth, and tonal quality of the reverb! Turn it up for more dynamics and a thicker tone.